Adrian Fortescue was born around 1480, the son of Sir John Fortescue of Punsborne, Hertfordshire. He was made a Knight of the Bath in 1503 and was high in the favour of King Henry VIII, taking part in the Wars of England against France in 1513 and 1523. His personal piety is attested by his Book of Hours which survives with devotional maxims in his own hand. As a cousin of Anne Boleyn, he was present when she was crowned as Queen in 1533. Sir Adrian was twice married and had seven children. He became a confrater of the Dominicans of Oxford in 1533. In 1539 he was attainted of High Treason without trial, by an Act of Parliament which condemned fifty persons opposed to Henry VIII's ecclesiastical policies. Adrian Fortescue was beheaded on Tower Hill, London on Wednesday 9 July 1539, together with the Venerable Sir Thomas Dingley, a Knight of the Order. The Order of St. John of Jerusalem has considered Sir Adrian as a martyr and has promoted devotion to him at least since the early seventeenth century as a member of the Order. Leo XIII declared him Blessed on 13 May 1895. For more information click here, including a translation of Mgr Ducaud-Bourget's biography of Bl. Adrain. O God, since all things are within your power, grant through the prayers of blessed Adrian, your martyr, that we who keep his feast today may become stronger in the love of your name and hold to your holy Church even at the cost of our lives. We ask this through our Lord Jesus Christ your Son, who lives and reigns with you and the Holy Spirit, one God, for ever and ever. Amen. I discovered a great website on the saints who were Knights of Malta. I shall highlight one daily for a week or so. If you cannot wait, here is the website. I shall get information from more than this site, however. The first one to be noted is Blessed David Gunston, here in this older article, called Venerable. MARTYRED AT ST. THOMAS WATERINGS, SOUTHWARK, 12TH JULY, 1541. At Malta, against the name of Sir David Gonson in the register of the Knights of St. John, a subsequent hand has written "The Good Knight": and there is little doubt that the comment was added to indicate the fact that he died in the cause of religion at the time when the Order was suppressed in England by Henry VIII. 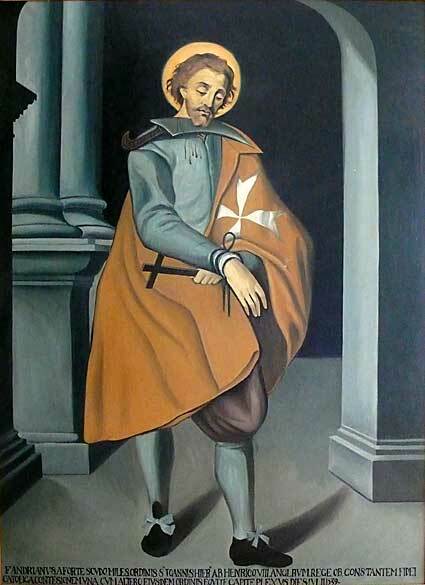 The Order of St. John of Jerusalem was a religious body, the members of which lived under the patronage of St. John Baptist _ and according to the rule of St. Augustine. It extended through the different nations of Europe, was divided into eight " tongues " (nations), and owned considerable property in each country. All the brethren were under the authority of the Grand Master who acknowledged the spiritual allegiance due by- himself and by all his brethren to the Pope. Their preoccupation was the defence of Christian Europe against the Turks. Henry VIII had his eye upon the possessions of the Order in England as early as 1527. Between the loss of Rhodes to the Turks in 1522 and the grant of Malta by the Emperor Charles V, in 1530, the head-quarters (Conventus) of the Knights had no permanent abode. Henry seized on this fact for an attempt to form the knights of the English tongue into a body, independent of the Grand Master, for the defence of Calais and district. The cost to the Crown of holding Calais was great, and Henry proposed that the English knights should form its permanent garrison and the revenues of their tongue finance his project. Many protests came from the Grand Master, but the danger was averted by Sir William Weston, Prior of the Order in England, who bought off the king by paying him a "benevolence" of 4,000 sterling, paid out of the Common Treasury. In 1530, Malta became the head-quarters of the Order, the island was converted into a fortress, and from it as a base the war galleys of the knights issued forth to harass the Turks. David Gonson was received into the English Auberge at Malta - on 20th October, 1533, and submitted his " proofs of nobility"; for each applicant for admission as a Knight of justice must produce proofs of gentle birth, of legitimacy, of good health, and of good character. David could prove his right to bear the arms of Gonson quartering Tussell, Walter, Beckett, Young and Colfax. He was the fourth son of William Gonson by his marriage with Bennet Walter, sister and heiress of John Walter. William Gonson was a Gentleman Usher of the King's Chamber and later became responsible for the naval administration of this country. In one contemporary record he is called Vice-Admiral and Paymaster of the Navy. He did at one time command ships but his principal work was covered by the later title " Treasurer of Marine Causes," and he is so described in the Gonson pedigree. David's eldest brother Benjamin was " Surveyor of all our Shippes" in 1546 and " Treasurer of Marine Causes " in 1549. Benjamin's Daughter Katherine married Sir John Hawkins, the famous sea captain. The name Gonson was pronounced as if Goonson, and was sometimes written Gunston. It is as Sir David Gunston that the knight is found in the list of English Martyrs. According to the regulations of the Order the first year was spent in the Auberge of the Tongue at Malta, during which period the knight was inured to the hardships of a soldier's life-" to learn frugality, discipline and benificence." This was followed by at least three years general service, and general service included a number of " caravans " or fixed periods of service aboard the galleys of the Order. Sir David remained at Malta from his reception in 1533 until 22nd April, 1540, except for two periods of absence, granted 2nd September; 1534 and 13th July, 1536: in 1536 he was still on caravan duty-. The discipline at Malta was very strict, and in 1535 a fracas with a fellow knight, Sir Philip Babington, led to a short term of imprisonment for Sir David and a loss of seniority-, a common punishment in the Order which affected the order of appointment to Commanderies. He was restored to his original place in the seniority list in 1,536. Presently we shall see Sir Philip Babington as the informer who sent Sir David to his Martyrdom. Meanwhile things were changing in England under Henry's religious policy. The king had declared himself Head of the Church in England and had repudiated its spiritual allegiance to the Pope. The suppression and spoliation of the Religious Orders followed, but the Knights of St. John were not at first included in the general ruin. In 1539, two knights of the English Tongue, Blessed Adrian Fortescue and Ven. Thomas Dingley, a nephew of Sir William Weston, Grand Prior of England, were martyred on Tower Hill for denying the Royal Supremacy. By Letters Patent 7th July, 1539, Henry reminded the knights of the English Tongue that he was a Protector of the Order : and it was his will that in future every appointment must be confirmed by him, and that he was to receive the first year's revenue of the office. By Section 4. he orders that in the granting of dignities and commanderies the authority of the Pope must be ignored ("shall not recognise, support or promote the jurisdiction, authority, rank or title of the Bishop of Rome ") The General Chapter raised its protest against this subversive constitution and declared it impossible for the Order to accept it. Before Gonson arrived home, Henry had determined to suppress the Order in England and confiscate its property. A servile parliament passed the necessary bill on 10th May, 1540. the reasons put forward for the suppression being " that the friars of the order drew large sums yearly out of the kingdom : they maintained the usurped power of the Church of Rome : they defamed and slandered the king and his subjects.' . . . . Thus fell that ancient and pious order, not without much scandal abroad both to the king and the government " (Lord Herbert). Sir David arrived in England, and on 8th October was accused of treason. The Privy Council minute of that date states " John Story who put in articles of treason against Davy Gunston, which seemed to depend on the sayings of one Philip Babington : commanded to appear on the seventeenth and bring Babington with him." On their evidence Gunston was arrested and confined in the Tower. He had no trial but was prosecuted b%- attainder in the Trinity term of 1541. This new form of procedure had been introduced by Henry- in 1539. Having asked the judges whether_ anyone could be attainted of treason in his absence without being called upon to defend himself, Henry was told that it was a very dangerous question, but that parliament could do anything and the attainder would be good in law. This was good enough for the Tudor tyrant : he had a servile parliament, thanks to Thomas Cromwell, and he acted at once on the judges' opinion. Henry no doubt thought it necessary to find a victim among the knights to stifle the agitation against his suppression of the Order. The General Chapter issued a strong protest and the Grand blaster wrote to Henry (15th September, 1540) declaring the impossibility of accepting the conditions. Two commanders, Enrico Pereyra and L. de Vallee, were sent as envoys to Henry to solicit the restoration of their rights, but in view of the imprisonment of Gunston and Tyrrell, and the execution of Fortescue and Dingley, they remained at the French Court until they could obtain a safe conduct from Henry. It is very doubtful whether they ever came to England. They were still at Fontainebleau in January, 1541. Sir David, as we have said, was condemned by a bill of attainder in the Trinity term of 1541. That he died for denying the Royal Supremacy of Henry in spiritual matters cannot be doubted. Fortunately the official statement of his offence and his sentence is preserved in the Public Record Office (Coram Rege de Termino Sanctae Trinitatis anno 33 Regis Henrici VIII, it. 130, rot xiii). The- document is in Latin except for the words said to have been spoken by Gonson, these. are in English. The accusation against him was-that while living in parts outside the kingdom, viz : from 10th July, 28 Henry VIII to 20th August, 31 Henry VIII, he persistently during that time, at Malta and elsewhere, publicly and distinctly, denied and opposed, falsely and traitorously, that the aforesaid King (Henry) was Supreme Head on earth of the Church of England1. That he had called the king a heretic1 and all those who upheld the patent of the king, heretics. Also that the afore- said David Gunston as part of his aforesaid wickedness against the duty of his allegiance, on 1st Ma}-, 29 Henry VIII, before and after, at Malta and at other places, did use, among other traitorous words, the following. "That no person might appeale unto the Byssope of Rome on earth under God and they that would maynteyn the appellation to the king for good were worse than Turks and Lutheryans." Wherefore, continues the document, David Gunston is to be handed to the King's Marshall, confined in the Marshalsea, and thence to be draw n to the usual place of execution, where he shall be hanged, out 'it down while still alive, be eviscerated, his body quartered and the quarters exhibited where the king pleases. Henry had forbidden any appeal to Rome by the "Act in Restraint of Appeals," 1533 and Gonson's words mean " No person is; allowed by the king to appeal to the Bishop of Rome, God's Vicar on earth and therefore supreme in spiritual matters." This Was an assertion of Papal Supremacy. " That they who maintain an appeal (in spiritual matters) to the king to be valid are worse than Turks and Lutherans." Not only a denial of the Royal Supremacy but by implication calling the king a heretic. Gonson after his condemnation was confined in the King's Bench prison, Southwark, whence on 12th July, 1541, he was dragged on a hurdle to St. Thomas Waterings, at the second milestone from the city, and there hanged, drawn and quartered. The Martyrologies and Catholic writers generally give the 1st July as the date of the execution. In this they follow Stow, who wrote in his Chronicles under the year 1541 : " The first of July .... Sir David Genson, Knight of Rhodes2 was drawn through Southwarke to St. Thomas of Waterings and there executed for the Supremacy." Stow wrote 40 years after the event. On the other hand Wriothesley, who was a contemporary of Gonson, has in his Chronicle-" 1541. The 12th daie of Julie, one of Mr. Gunston's Sonnes which was a Knight of Rodes, was drawen from the Kinges Bench to Sainct Thomas Wateringes and there hanged and quartered for treason." That Stow was wrong the following minute of the Privy Council is proof. " 7th July, 1541. Upon advertisement from the Lord Chancellor of the attainder of David Gunston . . . Tyrrell, and Robert Harvy, commissary of Calais, a letter was written to him that Tyrrell should be reprieved and the other two suffer at London." 2 Although the knights had been at Malta since 1530 the old name "Knights of Rhodes" was still commonly used. In the so-called Dark Ages, the Celtic missionaries brought Christianity to the northern countries. They even traveled to the New World, if some legends are true. In the Middle Ages, Catholics traveled throughout Europe without any difficulties. St. Catherine of Siena could go to France and talk to the Pope. St. Dominic would travel and his disciples spread the Gospel from Italy to Spain to France and England. The Benedictines founded monasteries in every land as did the Cistercians. In the Renaissance, the New World was discovered and missionaries came to what is now Mexico and the United States. Blessed Junipero Serra founded missions beyond borders. Jesuit in the time of the Baroque period moved from France to what is now New York and Canada, bringing the Gospel to the Natives and setting up colleges and universities. Missionaries flooded in from France, Spain, Italy, Portugal, and even England. Now, the Catholic world is slowly but surely, underneath the radar, being imprisoned. The missionary movement has been eviscerated by two things. The first is the lack of vocations and the lack of missionary zeal in the Church, caused from the end of fraternal love and the misguided heresies which claim all religions are the same and the Church should not missionize. But, the second reason is the hardening of immigration rules in countries across the world, including the US and Canada. Priests and nuns are now subjected to the harshest rules the world has ever seen regarding religious freedom of movement and speech. Only two years ago, stricter rules in the EU stopped the ability of dioceses to sponsor men from Africa who already did not have families in the EU from going into seminaries. Four years ago, the special relationship among the Commonwealth nations with Great Britain ended because GB decided to go with EU regulations instead of the older Commonwealth heritage. For example, in Australia and New Zealand, the sheep shearer use to be able to come to GB and work for awhile and go back. This ended. The Church is being constricted by certain countries which are not obviously persecuting the Church. Members of the Church already are being put into the prisons of their own countries. Think about this. An immigration officer told me personally that a Baptist minister was refused entrance into an EU country 2013, simply because the minister was coming to preach. These news items never hit the American press which is largely anti-Catholic and anti-religious. Countries which are starving for the type of expertise in catechesis which good America Catholics can give cannot hire or sponsor such laypersons for any extended stay because "jobs" must be given to EU persons first. In fact, look online and one can see that the EU rules for employment exclude Americans. American factories or businesses overseas can bring their people in but for only five years. Period. The constricting of movement is on purpose. Those Americans and Europeans who do not care cannot see the big picture--like one of my friends in Australia said, rules are making America a prison and what is the largest, most truly universal institution in the world, the one which would be most effected by these rules? The one, holy, Catholic and apostolic Church. I pray to Saint John De Brebeuf, Saint Isaac Jogues, and their companions. I pray to Saint Frances Xavier Cabrini, to St. Therese of Lisieux and St. Francis Xavier. God, open the boundaries for those who desire to spread Your Holy Word across the world. As to blogs, I believe this is the modern equivalent of missionary work. Right now, we can cross boundaries with the Good News of the Gospel, the Truth of the Catholic Church. Bloggers are like Medieval Catholics, spreading the Faith beyond boundaries. We can do this now, for a little while. Praise God for the evangelizers in the blogosphere. The Illuminative State would be obvious to other people who witnessed someone in this state. The person would exhibit wisdom from God and an unworldliness as well as a deep purity of soul and body. Like Bernard, Teresa and John of the Cross, these people would be totally centered on Christ and not themselves in any manner. They would be completely orthodox, in obedience to the Church in every way. This state brings great gifts to the Church and one reason why the Church is so weak is that few allow God to purify them to the point where they can enter into this Illuminative State. Purgation is painful. It is humbling, publicly so. Few want to give up self-love for the Divine Love which comes in the Illuminative State. And yet, I think I have met some in this state. Most, but not all, have been young, very young, under forty. They have exhibited a deep passion for Christ and His sufferings. They have exhibited wisdom beyond their years. These people are humble and unknown to the world. One works in a store, another is a housewife. The love for God pours out of them and they love their neighbor as themselves. They are beyond their predominant faults. They have allowed God to purify their senses and their spirits. And, they have and are suffering. One young woman of about thirty-three cannot have children. She is brilliant and loves God before all persons. Her husband allows her to pursue perfection. She is fortunate in her spouse. He is not jealous of her relationship with Christ. Another woman prays almost constantly while serving her family of six children and a busy husband. Again, her husband supports her spiritual life and shares it with her. They are fortunate in each others' pursuit of the life of virtue. She is a humble person and does not see how much light she sheds in the lives of others. I know many people in the Dark Night. They are learning humility and gaining self-knowledge. They fight their predominant faults daily and fight the good fight against temptations. I do not think I have met anyone in the Unitive State. If I have, I have not recognized this. But St. Bernard describes it as he lived it. Like John of the Cross and Teresa of Avila, he shares with us the focus of the Unitive State, the Mystical Marriage of the soul and Christ. I have written on this in my posts in the first perfection series, especially with regard to St. Catherine of Siena. Many saints have experience the unity of the Mystical Marriage. One of my favorite paintings in the Co-Cathedral of St. John in Valletta is that of the Mystical Marriage of St. Catherine. Most Catholics go to St. John of the Cross or St. Teresa of Avila for the description of the Illuminative and Unitive States. However, I find St. Bernard's writings more clear. St. Teresa was, despite her descriptions of the Mansions, not as systematic as St. John, who studied St. Thomas Aquinas, or St. Bernard, who had a fantastic genius. The Illuminative State, as I have discussed through some of the Doctors of the Church and Garrigou-Lagrange, follows the Dark Night and the purgation of both the senses and the spirit. 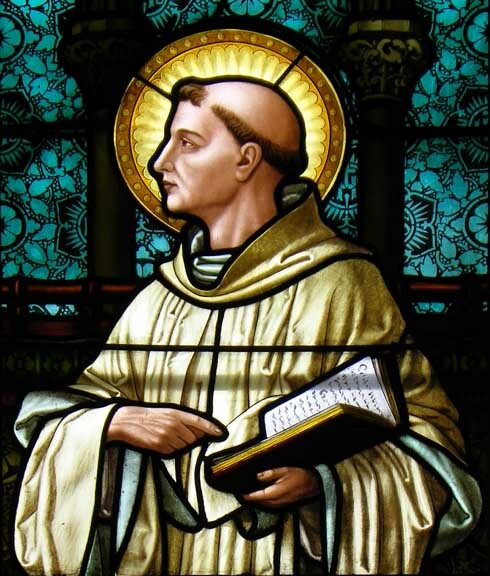 St. Bernard, one of the most mystical of the Doctors, has much to say about this state. Let me put his words into bullet points to make this discussion easier to understand. The Illuminative State follows trials and purgation. It follows the time of Faith, when one walks in darkness without consolations. Great temptations precede this state, as part of the purification process. As God purifies the emotions, imagination and memory, one is ready to meet God without preconceived images. However, the Incarnation becomes more real and one falls in love with Christ in an affective way. This sensible love is imperfect and comes before the Illuminative Stage. God comes to the soul in "life and efficacy". These moments of God entering the person as in a movement of the heart and soul marks the beginning of the Illuminative Stage. It is Divine Love Who visits the soul, but not for long, for moments now and then. Bernard uses the term "ecstasy" to mean the Illumination from God. The soul, the imagination and knowledge are exalted. Note that the soul must be so purified that it is free of sensory images. This is harder today with television and movies of Christ, imo. All this is because of Love--the soul loves as it is loved. "If it loves perfectly, then it is wed to him". Sermon 83:3. This describes the Mystical Marriage, which is now the herald of the State of Union. I shall go on to the State of Union in the next post. But, let me share this, which I also shared in posts past. None of the Illumination can happen until the purgative states are finished. And, no one should be in a leadership position, states Bernard, with authority over others spiritually, unless one is in the Unitive State. How far our clerics and nuns have fallen from this goal. "The soul must be in control of its passions if it is to become the dwelling place of God....Give me a soul who love God alone and everything else for his sake; which has realized that Christ is the only reason for its existence, a soul whose labors and leisure tend to rest in the presence of God;...this soul is worthy of the caresses of the Bridegroom." Do we not all want to love and to be loved? Do not our hearts constantly seek the "perfect love"? For some, this search is a hectic and careless search in all the wrong places. For some, it is the pressure of being in an unloving relationship. For some, it is the awful realization that one has never been loved by a human for one's self. These failures to find love in the world push us to God. But, if we truly seek God, He will find us. The writer of the introduction to the book I am using states an extremely important point: "But to seek after God, to realize one's insufficiency, to depend upon the Word, supposes living in a supernatural atmosphere." (M. Corneille Halflants, OSCO). How hard this is in our world! One must create this supernatural atmosphere, in the home, in some corner of work, in one's mind. If one is not consciously creating this cell in one's mind, this supernatural air which to breathe daily, one is missing the opportunity to meet God. Is anything else important but meeting the God Who waits for you? Over and over again, the Doctors of the Church insist that obedience is the main route to holiness. Bernard in Sermon 46:5 writes this: "Do not imagine that, out of the love of your own leisure, you have the right to omit an act of obedience...if you do so, the Bridegroom will not come to repose with you...He will not hear your prayers, nor heed your cries, rebel that you are; you will obtain nothing from him who loved obedience so much that he died rather than fail to practise it." Lay people ask me how they can be obedient. Simple. Never speeding, or going through "pink lights'; being painfully honest about income tax returns; never ignoring mistakes made in one's favor at stores; saying daily prayers and keeping the holy days and Sundays holy; women giving up nagging or insisting on their way; men not being couch potatoes but leading the family in holiness--all these are types of obedience. Fasting and mortification may be part of obedience. Obedience is the base line of all the virtues. Vice must be controlled and the predominant faults rooted out. St. Bernard always returns to love being the reason for all actions, including obedience. I am, as always, grateful for the Cistercian Father Series which I discovered about thirty-five years ago. These references in this series are from Number Four, Volume Two of Bernard of Clairvaux, On the Song of Songs I. When in doubt, do what Rome has approved. When in doubt, avoid what Rome has not positively approved. I am very concerned about some websites which are promoting the prayer forbidden by the laity to use of Pope Leo XIII against the devil. We can and should say daily the St. Michael short prayer most of us know and which is on this blog daily. However, there is a slew of new books on deliverance. These are not usually in line with real Catholic practice. The charismatic approach is not the one approved by the Catholic Church. Lay people cannot and must not take part in deliverance services or exorcisms. The only lay people who can be involved in exorcisms are those trained and approved by the local ordinary individually to work with a priest exorcist. Anything else is from the protestant tradition and wrong. Do not buy any books on deliverance, but instead follow the guidelines of such as Father Chad Ripperger, fssp, who teaches exorcists. He is very specific about his warnings. Can a lay person join the Auxilium Christianorium or the third order I have highlighted on this blog here? Yes, these have ecclesiastical approvals. Some bishops have been lax about charismatic prayer meetings and healing Masses, allowing protestants to do the music, using heretical words, and even allowing heretics to pray over people. There are some priests and ex-priests who have written books about deliverance. If you want to read the real deal, read Fr. Amorth's books. I am very concerned about lay people who are acting out of their egos and not out of the Holy Spirit. None of this confusion happened until recent times, the last fifty years, with the attack on the authority of the Church. Those who act outside the authority of the Church have fallen into error. Those who pray over others without being holy themselves put others in danger. I cannot warn Catholics enough about this subject. St. Bernard writes this: "We do not hesitate boldly to proclaim that every soul, if it is vigilant and careful in the practice of all the virtues, can arrive at this holy repose and enjoy the embraces of the Bridegroom." The embraces of the Bridegroom may mean walking with Christ to Calvary, holding His Cross with Him, like Simon of Cyrene. When we come to know someone we love, we become like that person. I have seen this in long marriages. The knowledge of self and the knowledge of God move together to create the soil for union with God. We are like God in three ways, states Bernard, and sometimes he adds a fourth. In simplicity and immortality and in free-will are the main three. The fourth we have lost and must regain, and that is grace. All sin causes slavery, all sin, even venial sin. Bernard notes that the disordered conscience fears God like a slave would fear a master. This "impedes" the will. The only way out of this fear is through purgation. The how I have already shared in the past two series on perfection. Now, in this series, I am encouraging my readers to do what is necessary now and no longer put off becoming holy. A small thing can keep us from holiness, like chocolate, or movies, or thinking of our selves instead of serving others. This title is a direct quotation from St. Bernard of Clairvaux, the saint who has accompanied me for most of my adult life. He adds to the truth that we are all called to perfection. In the first of his sermons on the Song of Songs, he notes this: "Before the flesh has been tamed and the spirit set free by zeal for truth, before the world's glamour and entanglements have been firmly repudiated, it is a rash enterprise on man's part to presume to study spiritual doctrines....'an unspiritual person cannot accept anything of the spirit of God.'" He, of course, is describing what I have been trying to teach on this blog for years-that unless we allow God to purify us, we cannot approach the intimacy with God He wants each one of us, while on earth, to know. God calls us all to love, to "the gift of holy love, the sacrament of endless union with God." In this union is the real renewal of our lives. How can we serve the Church without this renewal? 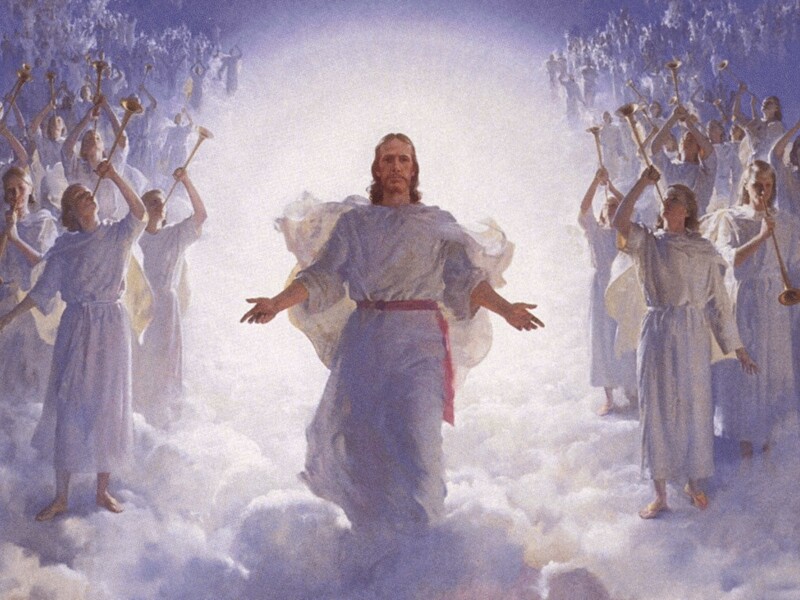 Again, there are too many worldly Catholics who have not allowed God to start the purgation, in order to make the hole in the heart for Him to fill. I am starting the third series on perfection this week. This is the road we must all take now. The time for criticism and explanations of failures in the Church is over. I shall give warnings, but am backing off from the criticisms. We know what we have to do-become saints.